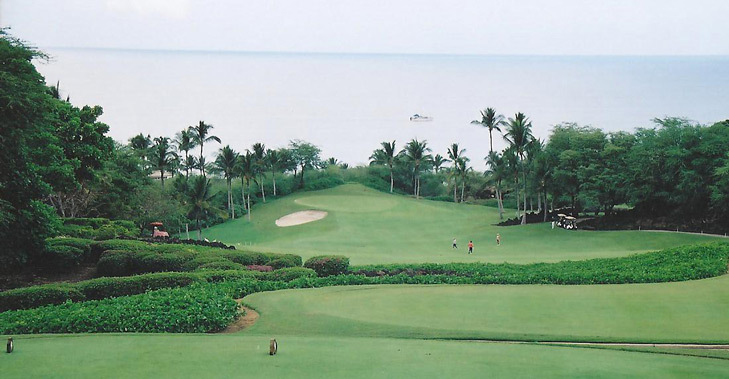 Wailea Golf Club, Emerald Course Hole 1: The first hole plays short and eases the golfer into the round with a wide fairway and easy-to-hit green, complete with nice ocean views throughout. 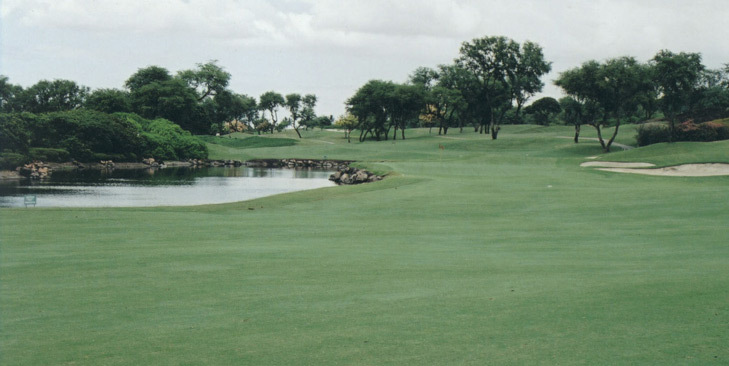 Wailea Golf Club, Emerald Course Hole 4: This short par 4 is not difficult but epitomizes the Emerald Course. The tee box is surrounded by flowers and offers wonderful views of lava, the Pacific Ocean, plenty of well-designed sand traps and neighboring islands. The approach just must avoid going long down a steep hill behind the green. Wailea Golf Club, Emerald Course Hole 10: This par four has a blind tee shot that must not go to far or left or it will get wet. It is the approach to the narrow green with water left that will get the players attention, however. Wailea Golf Club, Emerald Course Hole 17: This short par four is one of only two holes on the course with water, and it shares the same green, and lake as that hole (#10). It has a wide open drive, but is short enough that the player can consider going for the little shoot of fairway leading up to the green. That shot, or the approach had better be precise, however, as the lake is cut close to the green. Wailea Golf Club, Emerald Course Hole 18: This best all-around hole on the course is the last one. A long, but nearly reachable par five, this hole provides great views from tee to green and incorporates all that makes this course fun. The drive is really the only difficult shot as it is relatively tight for the course. Other than that, avoiding the bunkers is the only other key to this beautiful finishing hole.